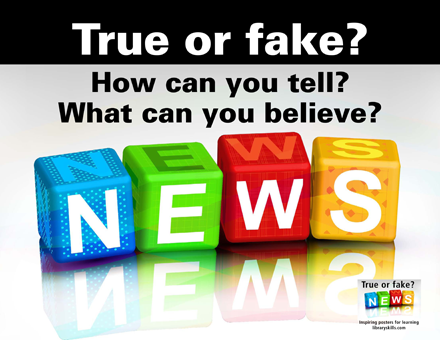 and 26 cardboard filler blocks. 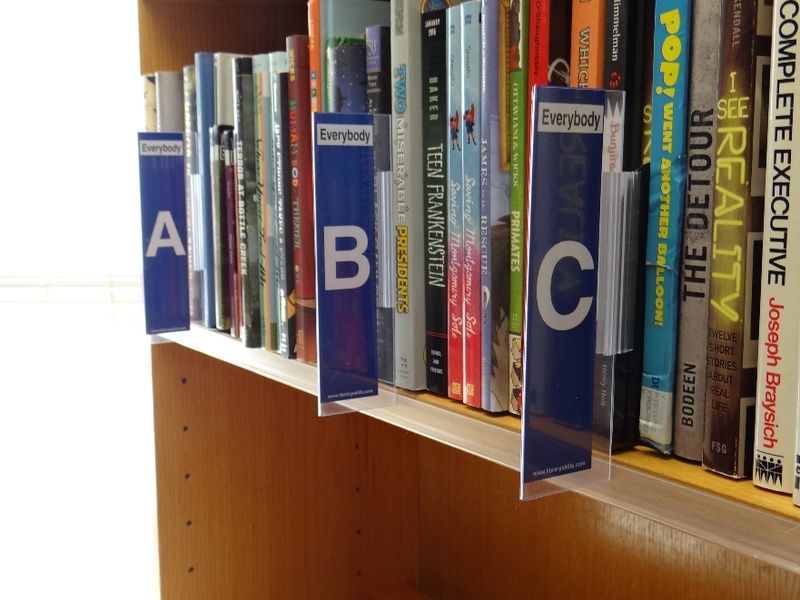 26 shelf markers with signs. 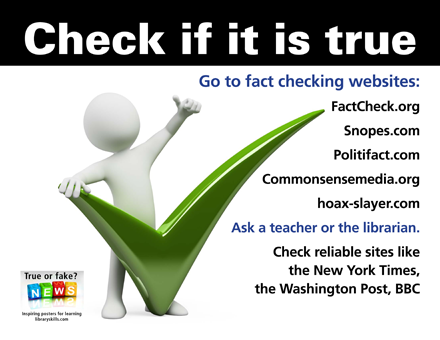 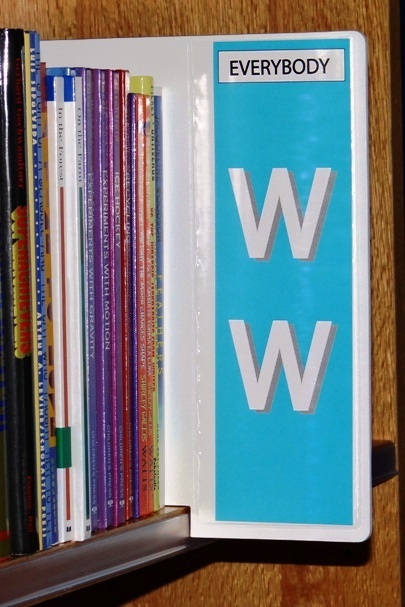 Extends 3 1/2" from bookshelf and 9 1/2" into bookcase. 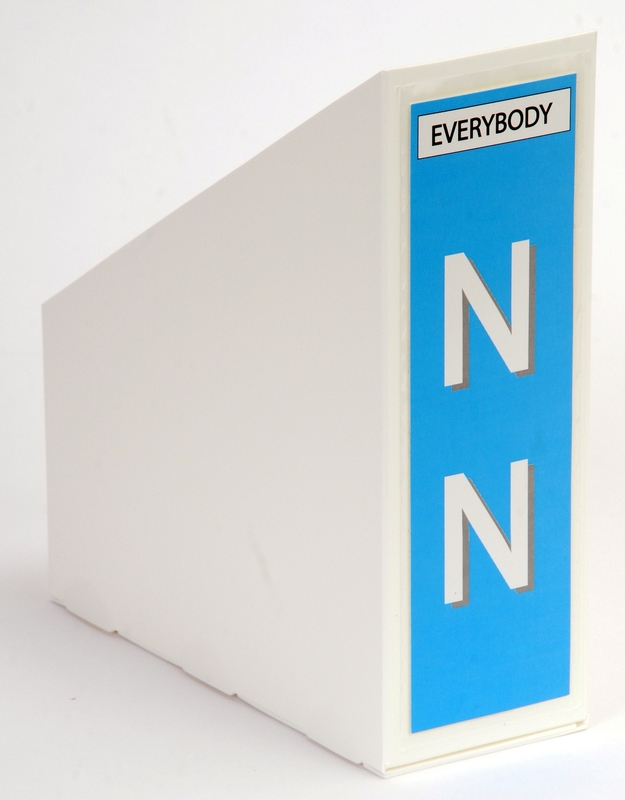 Includes clear sleeves on both sides to hold signs. 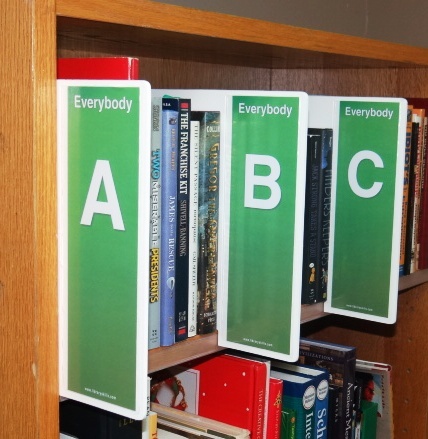 Set includes: 26 mini "Bookend Shelf Markers" including signs. 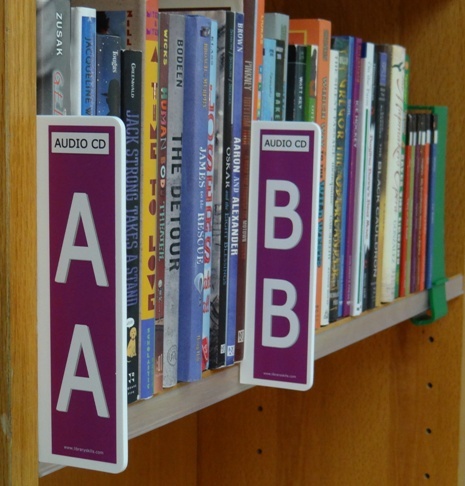 Shelf markers clip onto your metal bookends (metal bookends not included). 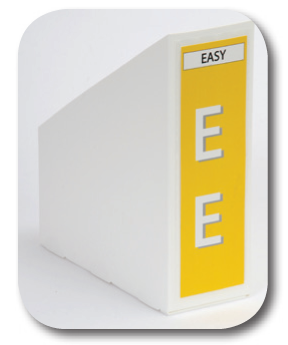 Size: 6 1/2"H x 11 1/2""W Signs extends 2" into aisle. Large 48"L x 36"W floor mats. 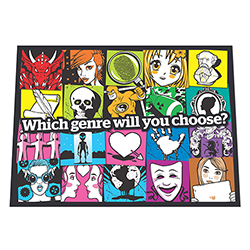 Large 48"W x 36"L floor mats. 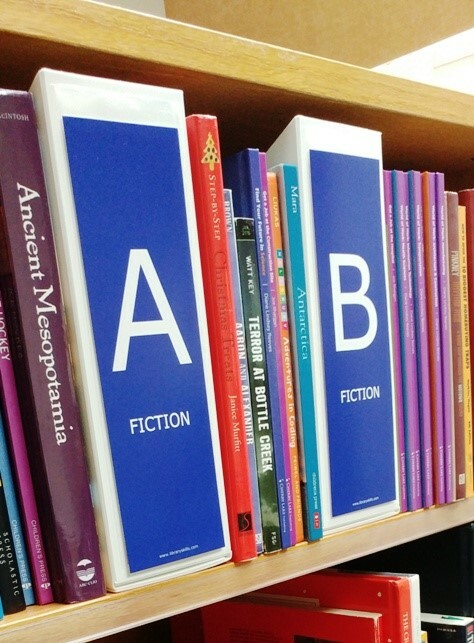 10 shelf markers made from 1/8" thickness white plastic board and 2 sets of Non Fiction signs; one on each side. 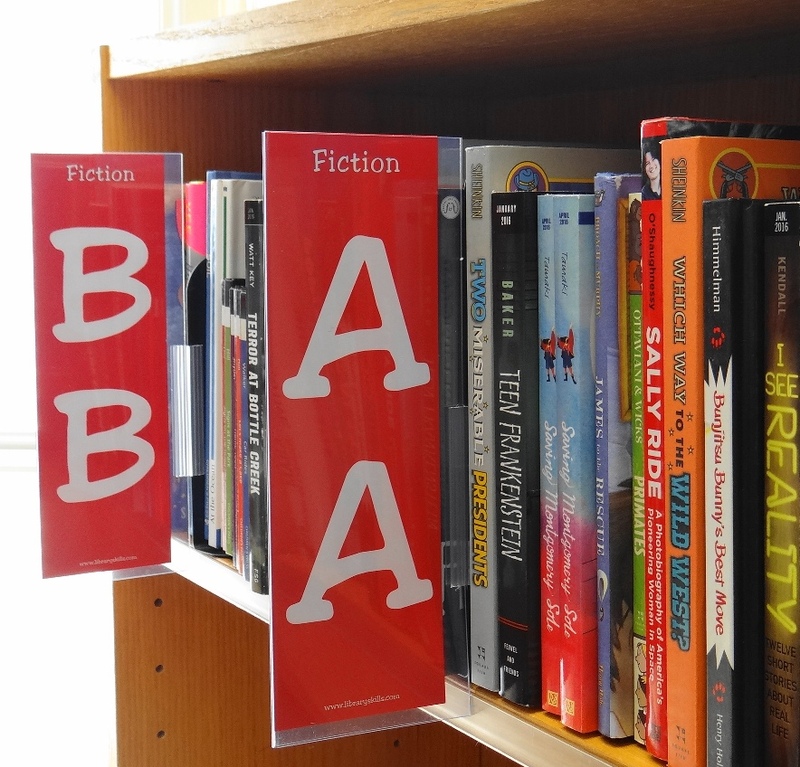 Alphabeth A-Z Mini Shelf Markers with signs attached to both sides. 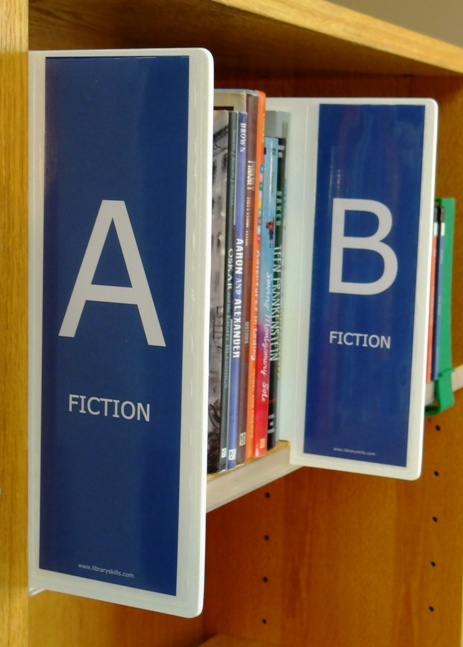 Easy Mini Shelf Markers - set of 26. 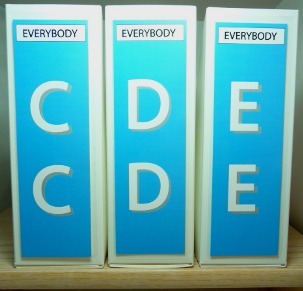 (one letter). 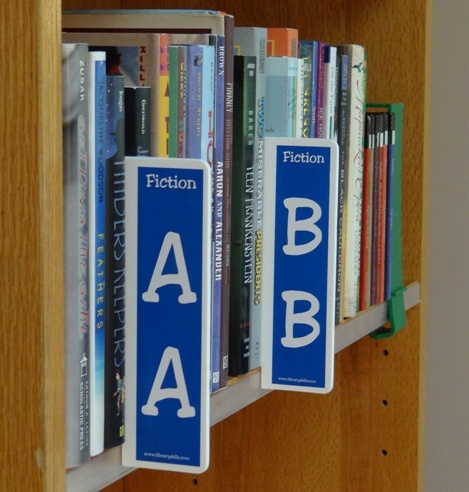 Easy Shelf Markers - set of 26 . 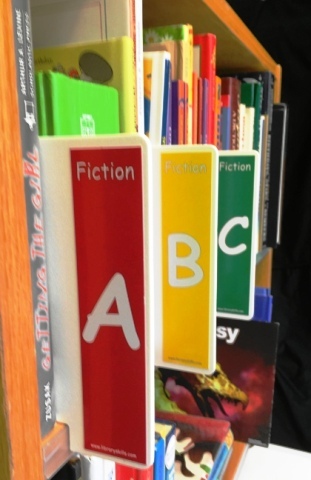 Shelf Markers have a sign on each side behind a clear sleeve.